No Russian election cycle has been accompanied by quite such a large number of scandals and cadre unrest as the current one. First, there was the sensational removal of Mikhail Prokhorov from the leadership of Right Cause [pravoye delo], and the de facto death of that party political project, which meant the anticipated entrance of patriot-nationalist Dmitry Rogozin into the campaign never materialised. 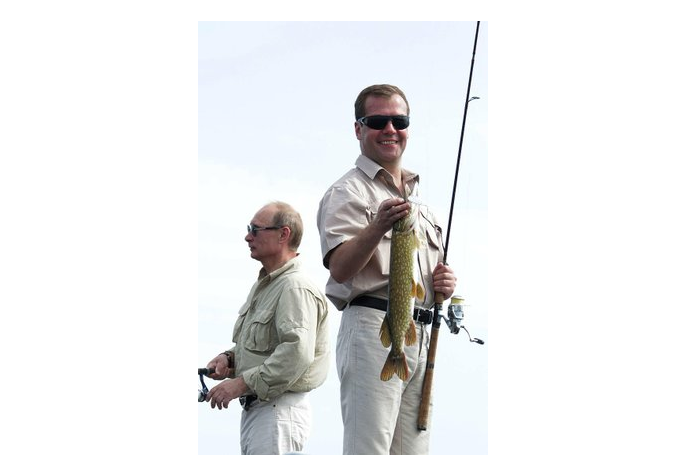 Then, after the reshuffle made Medvedev the anointed heir to PM, Minister of Finance and Deputy Prime Minister Aleksey Kudrin resigned. All of this seemed to indicate abrupt recalculation of future plans and strategy. At the same time, it changed the entire nature of a campaign already in full flow. We can talk first about a revision of Strategy 2020, a plan which was being developed by a working group of liberal economists under the personal instruction of Vladimir Putin. The group’s first reports were taken quite seriously by those in power (indeed, in March, the group’s report on federalism and local self-governance was initially presented as a document from the ruling United Russia party). Today, in the absence of a functioning right-liberal vehicle like Prokhorov’s “Just Cause”, there is no way of bringing policy recommendations into the agenda of either the Duma parliamentary or presidential elections. A conservative alternative to the liberal Strategy-2020 project was also launched in parallel. These were the programmes of the “All-Russian People’s Front”, which were being developed by a newly created Institute of Social Economic and Political Studies, and under the guidance of Senator Nikolai Fyodorov. In the end, this proved to be an unnecessary innovation, as instead it was declared that the United Russia programme would be built on the basis of speeches made by Putin and Medvedev at the United Russia Party Conference. Finally, there was the timing of the reshuffle announcement. We can surmise from late changes in the scheduling of the Valdai Discussion Club that it was planned for a much later date. The initial date of the meeting was the start of December, that is after the Parliamentary elections, but this has since been changed to mid-November. Vladimir Putin was personally very visible in the campaign, attending some eight regional United Russia conferences since April of last year, launching the “People’s Front”, and initiating work on various strands of possible strategy. And yet he blew the entire electoral strategy of “his” United Russia party, by declaring that it would not be Captain Putin driving the party steam engine, but instead Medvedev, up till now sitting in the passenger carriage. Every one of the above instances may well have an individual explanation — for example, because Prokhorov became too independent, because he left his agreed electoral niche, because he decided to rebel against his Kremlin handlers. At the same time, it does seem to indicate the generally primitive picture of the nature of both campaign strategy and political organisation. Quite apart from all of this is the question of whether OBSE observers will be allowed to observe the ballot in any meaningful way. If, unlike the previous electoral cycle, we get to see long-term observers, this will mean that either the authorities no longer believe they need a high and OBSE-accepted result for United Russia, or that observers were initially factored into the previous, rejected electoral plan, and there was no time to cancel their plane tickets. With the usual reservations that accompany such reconstructions, we could suggest that the initial electoral model was conceived to be a lively and competitive one. There would have been a sprinkiling of intrigue from the free-market right, lead by Mikhail Prokhorov and his “Just Cause”; while Dmitry Rogozin, attaching himself to the People’s Front, would have provided a flow of “moderate national-patriotic” voters. Of course, it is difficult to imagine that “Just Cause” would have been able to secure enough votes to get into the Duma parliament, but that is not so important. What is important is the fact that its very participation in the electoral campaign should have put the matter of liberal economic and political reforms — developed by some 21 expert groups under the patronage of Kudrin — on to the political agenda. It was initially planned that the working groups would present policy recommendations at the beginning of December. Their reform package, which was supposed have been carried out by a government lead by Alexei Kudrin, would have been presented before the presidential elections. In such a way, they would have become not only a vote for Putin, but also a vote to legitimise the cabinet programme and mobilise citizens in support. The six years of the new presidential term would begin harshly, with painful transformation, with all ending well at the end, at the peak of the president’s popularity in time for the 2018 elections. Legitimacy and the presence of a proper mandate certainly played a significant role in the initial electoral plan. It is precisely for this reason — not only a wish to look good in front of the West — that the picture of the campaign became so complicated. As panic grows in the Eurozone, the increased risk of a second wave of crisis in Russia forced Vladimir Putin to reject any plans to carry out reforms immediately after the elections. To have reform and crisis going on at the same time would be too much. The experience of 2005, when the government’s social welfare reforms brought many onto the streets, and the more recent experience of the Arab Spring is fresh in everyone’s mind. A decision was, it seems, taken to hold out for a more certain economic times, and postpone reforms for a while. The government’s remaining financial reserves offer the luxury of not having to force reforms for another year or two. Of course, this will not remove the need for reform once those reserves are empty — these will have to be carried out regardless of the “global climate”, and moreover without the kind of resources that would give comfortable room for manoeuvre. "The elections will now look a little like the economy version of an old Lada car: not too pretty, not too comfortable and not particularly good in extreme conditions ... but, on the other hand, relatively reliable and cheap." The decision to put reforms off until a sunny day and the clear deterioration in relations with the West (the American missile shield in Europe, the Justice for Magnitsky list) have made many components of the initial plan redundant, hence their absence in the actual election campaign. We are little over seven weeks away from the December vote, and neither the People’s Front nor United Russia are particularly visible. But few in the Kremlin seem bothered: United Russia will get its fifty-something percent, and it will always be possible to get agreement with the other minority parties. The elections will now look a little like the economy version of an old Lada car: not too pretty, not too comfortable and not particularly good in extreme conditions ... but, on the other hand, relatively reliable and cheap. The choices and strategies that have been adopted for the campaign may well determine the entire political organisation of the next Russian government. It seems likely that that governent will be closer to the model of a Yeltsin presidency, with power concentrated on a single leader, relying neither on institutes nor an all-powerful party of power. At the same time, in rejecting an attempts to enact true reform and modernisation, Vladimir Putin — and with him the whole country — may well have missed out on an opportunity that may not repeat itself.